This is one of the biggest lures of outsourcing manufacturing: the idea that you can draw up some design specs, ship them off to China, and then have stacks of product arrive at your door a couple months later with little other intervention needed. Unfortunately, the reality is usually far from that. Especially when you're dealing with low-cost manufacturers – at home or abroad – they often have a tendency to overstate their own capabilities. Specifically, they lack the equipment needed for precision work that's so necessary for modern mass manufacturing, but you often don't realize this until it's too late. In some fields, this isn't a major deal. After all, plenty of people still buy IKEA shelves, even though those holes and pegs never quite match up as smoothly as one might like. 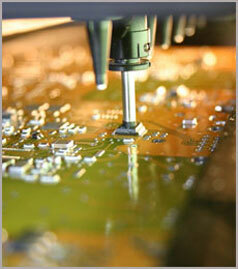 However, for an electronic manufacturing company, precision is supreme. If they can't deliver it, you're likely to lose money. When you hire an electronics firm to produce your latest gadget, the precision of their equipment and their processes (or lack thereof) will make all the difference to whether your investment pays off, or is a waste of time. Production errors can quickly wipe out any cost savings found through outsourced electronics companies. We're fond of pointing at the example of Sleek Audio, who lost millions of dollars due to poor Chinese manufacturing. A single batch of ruined product nearly ruined the company itself. Yet, after moving production back to America, with in a couple years they had become a CES Award-Winning innovator. That's the difference precision electronic manufacturing makes. Or, consider Samsung's shipping delay woes with the Galaxy S3 early last year. While they never officially confirmed it, the universal industry scuttlebutt is that their manufacturing plant botched approximately 600,000 phones. Let's just repeat that: 600,000 ruined phones, which (based on other phone production costs) likely cost between $150-$180 to manufacture in the first place. That's a lot of money that could have been saved, had they gone with an electronics manufacturer who could deliver what was ordered the first time. You then wouldn't have to worry about finding the right electronics repair services company. 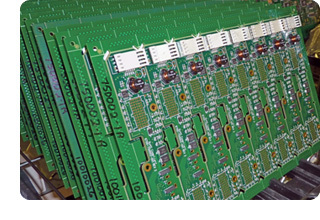 The physics of modern electronics manufacture demand high-quality manufacturing equipment. When you're dealing with manufacturing processes based in microns (one-millionth of a meter), precision is simply essential. This is circuitry so finely-laid that mistakes the size of a pushpin's tip can ruin a product. Certified adherence to internationally-recognized standards and capabilities. 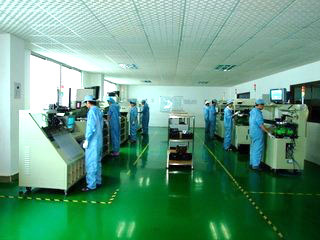 A modern facility with the latest in assembly, rebake, and testing procedures. Robust supply chain management that keeps counterfeit parts out of your build. Testimonials or case studies demonstrating their prowess. Post-sale fulfillment services that show a willingness to stand by their results. Full testing services throughout the manufacturing process. You pay a little more for these services, but think of it as manufacturing insurance. When you go with an inexpensive electronics assembly firm, you're always taking a risk. You don't know whether they'll be able to deliver what's promised, and if they can't, you are the one who are going to be out a lot of time and money. The smart option is to be prepared beforehand. Pick the right partner, an electronic manufacturing company that focuses on precision in its products, and you'll save plenty in costs in the long run.